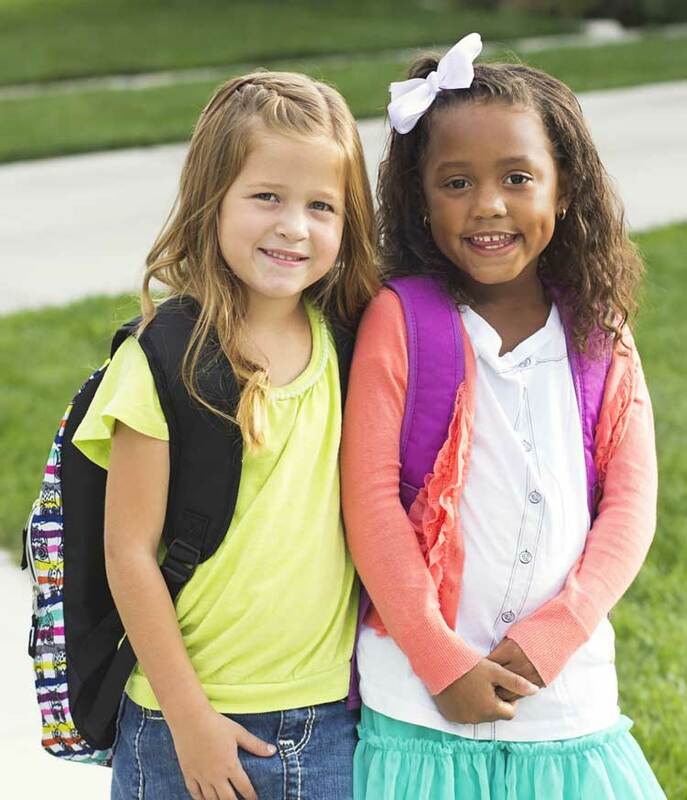 Walking is a fun and healthy way for your child to get to school! Children learn by watching others, so your own safe pedestrian behavior is the best way to teach these valuable skills. As a driver, you can also be a role model for safe behavior by following all traffic laws, respecting pedestrians, and using driving to teach your child about signs, signals and other traffic rules. Choose routes that provide space to walk and have the least amount of traffic and lowest speeds. Look for traffic at all driveways and intersections. If possible, cross at a crosswalk or at an intersection with a walk signal. Stop at the curb and look for traffic in all directions (left, right, left, to the front and behind). At an intersection, it is important to look in front and in back to check for turning vehicles. The second look to the left is to re-check for traffic that is closest to you. Wait until no traffic is coming and start crossing; keep looking for traffic as you cross the road. Walk across the road. Do not run. Wear reflective gear if it is dark or conditions limit visibility, such as rain or snow. Talk with your child about what you’re doing and why as you walk. Read: When Can My Child Safely Walk Alone? What can my child learn at different ages? Children’s ability to understand and make decisions about where to walk and cross the street change as they grow and develop. Kids this age need to walk with adults who will make safety a priority because they are still learning what it means to be safe. The best way for them to learn safe walking skills is by walking with an adult. Have limited judgment, making it hard for them to know where or when it is safe to cross the road. Cannot gauge the speed of oncoming traffic. Can be impulsive and lose concentration easily. Have a hard time staying focused on one task, such as crossing the road. Should walk together with an adult. These years are the time to teach skills that prepare children to be safe walkers throughout their lives. Children age seven to nine can begin to learn more complicated pedestrian safety tasks. Even though they are older, they always should be with an adult while walking near or around traffic. The best way for children to learn is by repeating safe pedestrian skills with an adult. Need supervision as they learn more complicated pedestrian safety skills. Can begin to identify safe crossing sites with help and practice. Can begin to learn how to identify traffic and stay focused while crossing the street with help and practice. Crosswalk Safety Education from Commute Options on Vimeo. Children age ten and older gradually can learn more complicated pedestrian safety tasks. 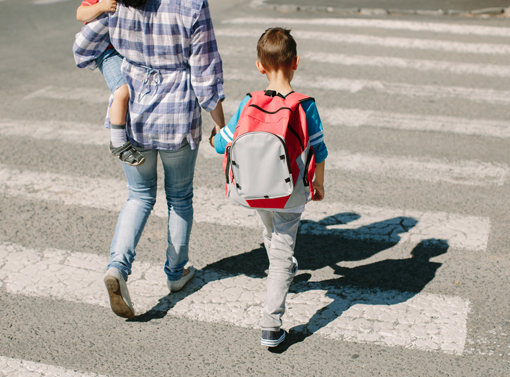 Even though they are older, they should still be with an adult while walking near or around traffic until they consistently demonstrate safe pedestrian skills. The best way for children to learn is by practicing safe pedestrian skills with an adult. As children grow, revisit these safety issues often to make sure they are still practicing safe behavior. Need specific instruction and modeling as they learn more complicated pedestrian safety skills. Can identify safe crossing sites with help and practice. With help and practice, can identify traffic and stay focused while crossing the street.